Introduction. Located in South Australia at the terminus of the Murray-Darling River, the Coorong, Lower Lakes and Murray Mouth (CLLMM) region has immense ecological, economic and cultural importance. The landscape varies from the low hills of Mount Lofty Ranges in the northwest, through the low valleys and plains surrounding Lake Alexandrina and Lake Albert, to the plains and dunes of the Coorong in the southeast (Fig 1). 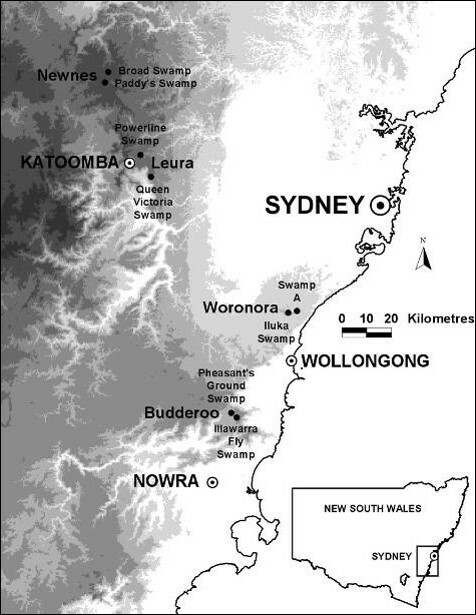 These landforms had a large influence on the composition of pre-European vegetation communities in the region, with the Mount Lofty Ranges dominated by eucalypt forests and woodlands, the lakes surrounded by a mixture of mallee, temperate shrublands and wetland vegetation, and the Coorong supporting coastal and wetland vegetation communities. 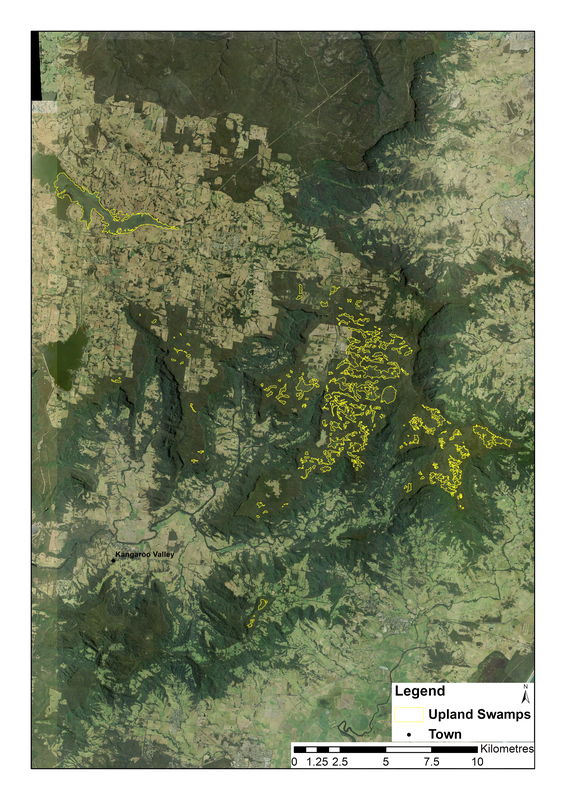 The region has been extensively cleared since European settlement and the introduction of intensive agriculture (cropping and grazing), so that now only a fraction of the original native vegetation remains. This has resulted in a substantial decline in biodiversity and recognition of the area as a critically endangered eco-region. These impacts have been compounded by water extraction upstream and anthropogenic changes to hydrological regimes. The recent drought further exacerbated these environmental problems and severely affected the region’s people and economy. Figure 1. The Coorong, Lower Lakes and Murray Mouth region showing terrestrial and aquatic plantings. Broad aim and any specific objectives. 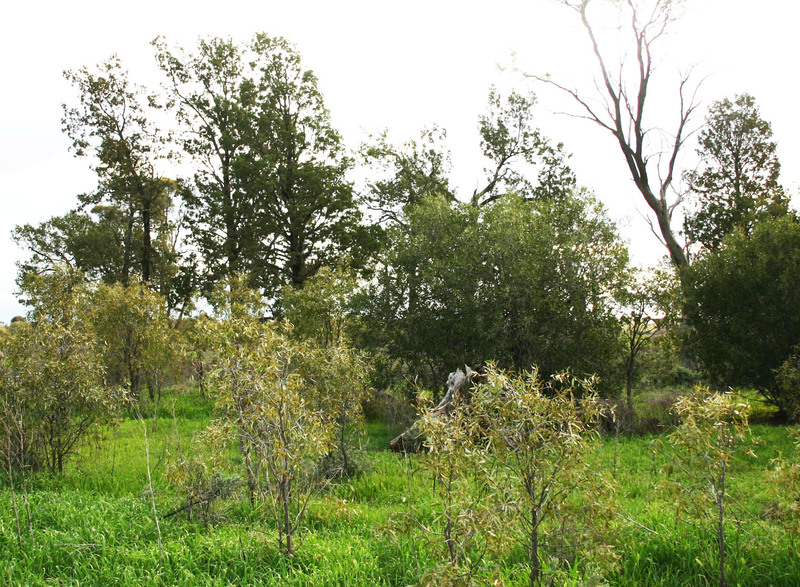 In response to drought and other issues affecting the region the Australian and South Australian governments funded the landscape-scale CLLMM Recovery Project (2011 – 2016). This project aims to help restore the ecological character of the site and build resilience in the region’s ecosystems and communities. 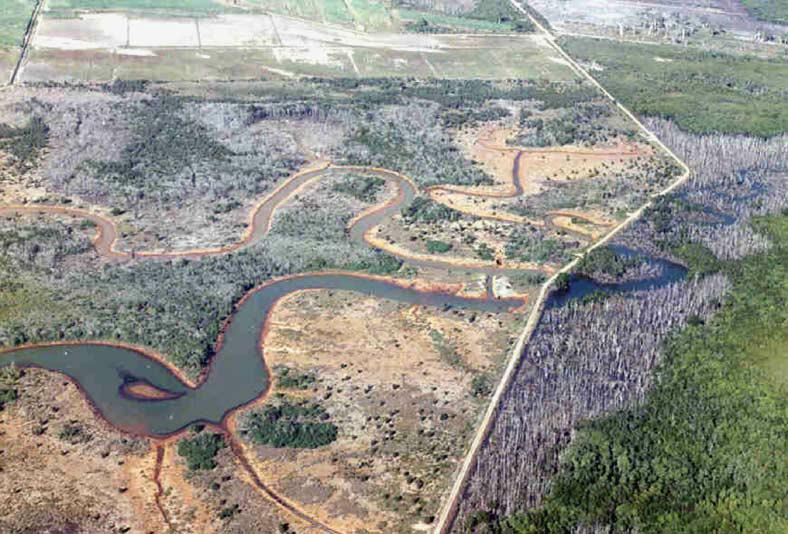 As a part of this, the CLLMM Vegetation Program aimed to strategically restore native vegetation to buffer and increase the connectivity of existing remnants. Works undertaken. Three key tools were utilised to achieve these goals. First, an integrated Landscape Assessment was used to identify priority plant communities for restoration in the region. To do this, we classified vegetation types occurring in the CLLMM landscape, then identified suites of bird species associated with each vegetation type. The status and trends of each of these bird species were then used as indicators to determine the conservation priority of each vegetation type. 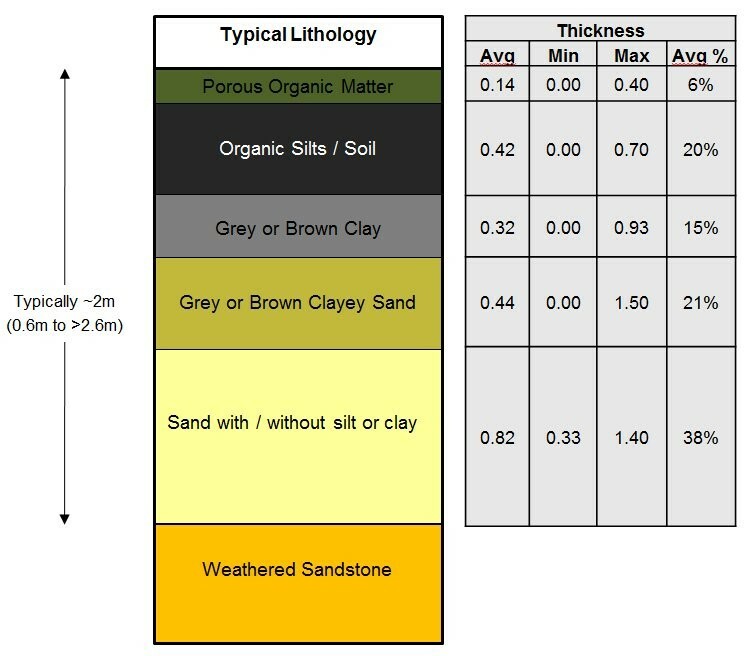 Second, a framework was developed to identify the most appropriate vegetation types to reconstruct at a given site, depending on characteristics such as soil type and landform. This was based on the composition and structure of remnant communities and their associated environmental settings. 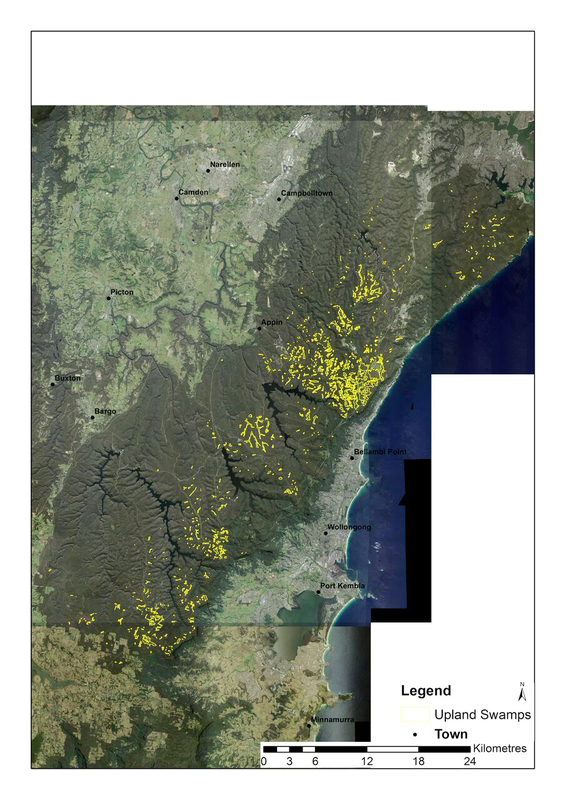 Finally, a Marxan analysis was conducted across the region to prioritise sites for restoration works based on the aims of the program, with an aspirational target of restoring 30% of each priority vegetation type. Following an expression of interest process that made use of existing networks in the local community and the traditional owners of the CLLMM and surrounding area, the Ngarrindjeri, prioritised sites were then selected from those made available by landholders. For each site, we developed a plan specifying the site preparation required, and species and densities to be planted. Native plants were sourced from local nurseries, ensuring that provenance and appropriate collection guidelines were followed. Tubestock was used to provide an opportunity for social benefits, including the development of community run nurseries, and due to their higher survival rates. Planting was carried out by regional contractors engaged by the CLLMM Recovery Project Vegetation Program, along with the Goolwa to Wellington Local Action Planning association and the Ngarrindjeri Regional Authority. During this program wetland restoration was also undertaken through the planting of a native sedge species, the River Club Rush (Schoenoplectus tabernaemontani), which assisted in stabilising shorelines and creating habitat for aquatic plant communities. Results to date. By the end of the program around 5 million native plants will have been planted at 148 sites on private and public land covering more than 1,700 hectares (Fig. 1). In total 202 species of plants have currently been planted, comprising 11% overstorey, 38% midstorey and 51% understorey species. Initial results indicate that around 66% of plants survive the first summer, at which point they are well established. 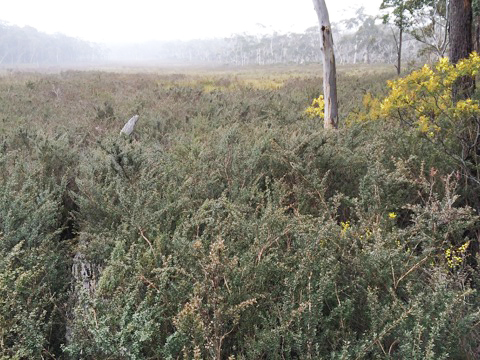 Woodland and mallee bird species are starting to use these revegetated areas. When compared to remnant areas of the same vegetation type, both native plant species richness and bird diversity are lower in restored habitats. However, while the bird communities in restored habitats are dominated by generalist species, specialist species such as endangered Mount Lofty Ranges Southern Emu-Wrens have been recorded in revegetated areas, providing early signs that planted areas are benefiting rarer species. The restored communities are still very young, and over time we expect these areas will start to structurally resemble remnant habitats. Lessons learned and future directions. Resourcing of research alongside program delivery allowed us to implement a sound prioritisation process and a systematic, strategic, and effective approach to the restoration of the landscape. 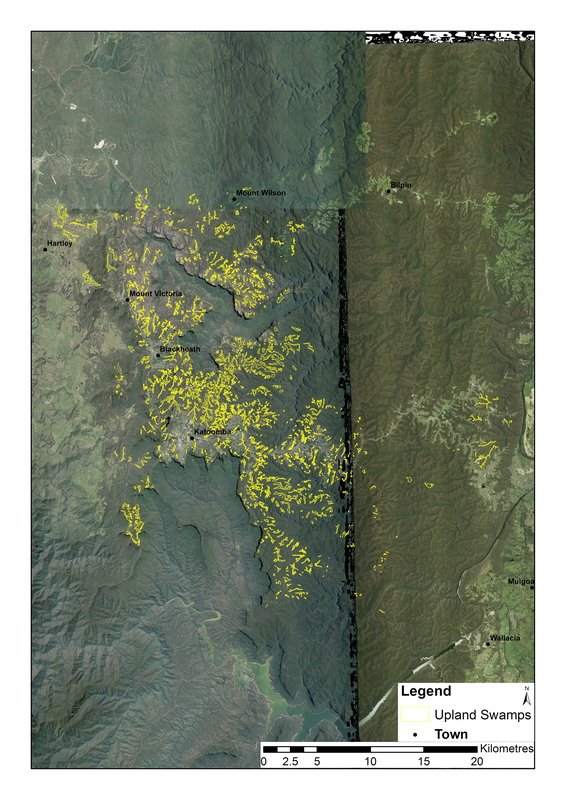 The capacity to collect good vegetation, soil and bird occurrence data was crucial to this. Successful delivery also required funding for site preparation and follow-up, a well-developed network of native plant nurseries, engaged community and indigenous groups, and good relationships with local landholders. Stakeholders and Funding bodies. 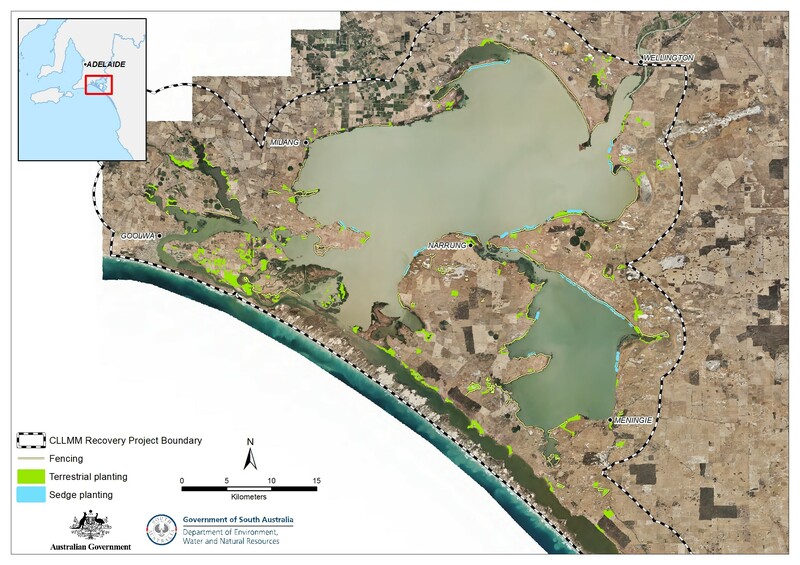 The CLLMM Vegetation Program is a landscape scale habitat restoration project, jointly funded by the Australian and South Australian governments under the Coorong, Lower Lakes and Murray Mouth Recovery Project. We would like to thank the Goolwa to Wellington Local Action Planning Association, the Milang and Districts Community Association and the Ngarrindjeri Regional Authority for their assistance in undertaking this revegetation. DEWNR’s Science, Monitoring and Knowledge branch undertook the initial ecosystem analysis. Effective conservation and management of natural resources requires that we have an understanding of the spatial distribution and physical characteristics of the systems of concern. 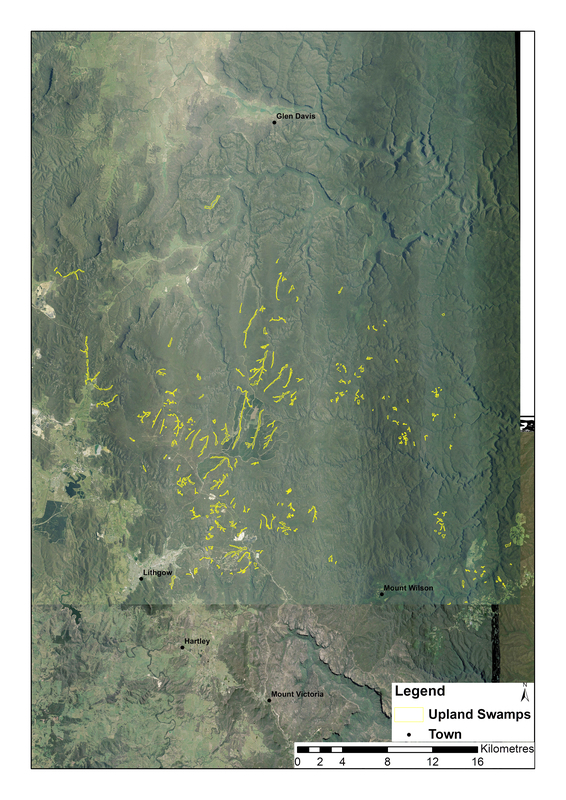 The results of the THPSS mapping project summarised here provide an essential physical (geomorphological) template atop which a range of other biophysical information on swamp structure, function and condition can be collated and interpreted. Design. 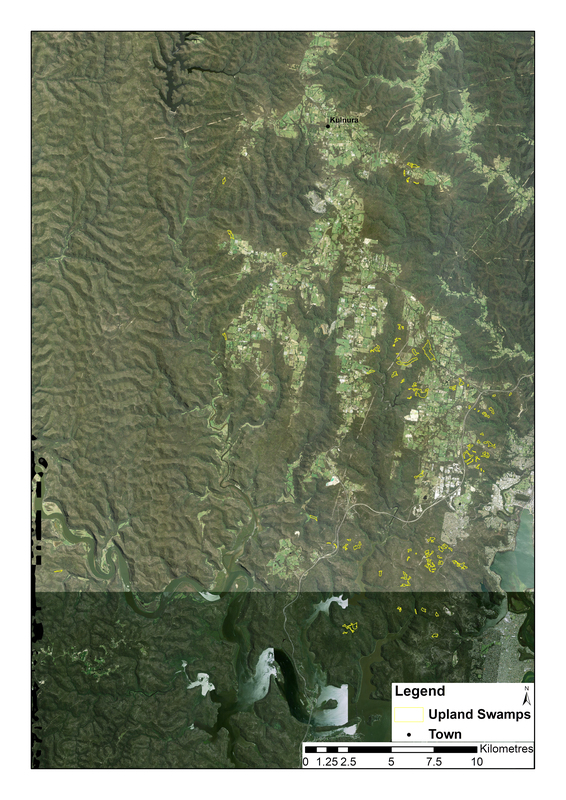 Using a 25 m Digital Elevation Modal (DEM) coupled with orthorectified aerial photography, the THPSS of the Sydney Basin were mapped in ArcGIS. Only valley-bottom swamps were mapped. Hanging swamps or hillslope drapes were excluded. In ArcGIS, the physical attributes of the swamps were attributed and measured. This included swamp area, elevation above sea level, swamp slope, catchment area, swamp and catchment elongation ratio, swamp length and distance to coast. Results. 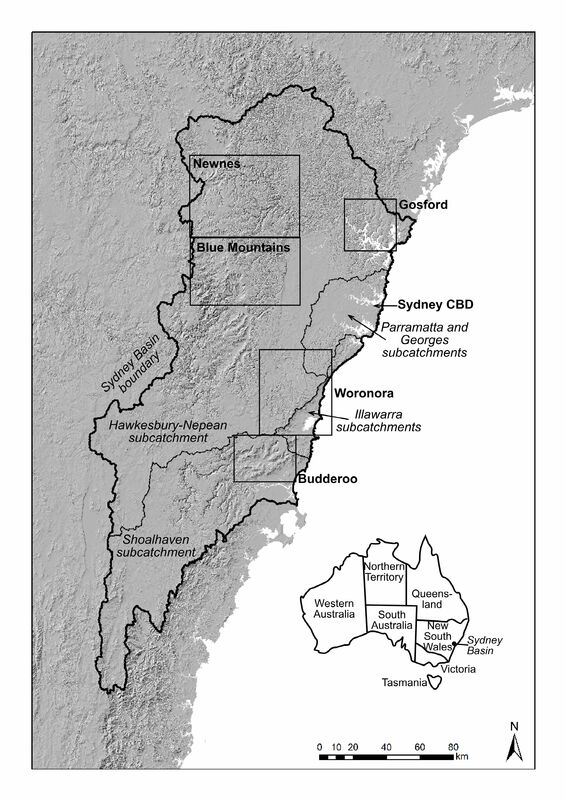 Five regions of THPSS were mapped (Figure 1); Newnes (Figure 2), Blue Mountains (Figure 3), Budderoo (Figure 4), Woronora (Figure 5) and Gosford (Figure 6). Across these regions there is a total of 3208 individual THPSS. The combined area of these swamps is 101 km2 (10,100 ha) and the combined catchment areas that contain them cover 789 km2. They occur at a median distance of 57 km from the coast, but this is highly varied, ranging from 0.4 – 96 km. The swamps occur in areas with an average annual rainfall of 1505 mm/year and average annual temperature is 15oC. They occur at a wide range of elevations. Those closer to the coast occur on elevations as low as 160 m ASL, and those further from the coast on plateau country can occur at elevations up to 1172 m ASL. The bulk of these systems occur at median elevations of 634 m ASL. The swamps are elongate in shape, having a median elongation ratio of 0.46. 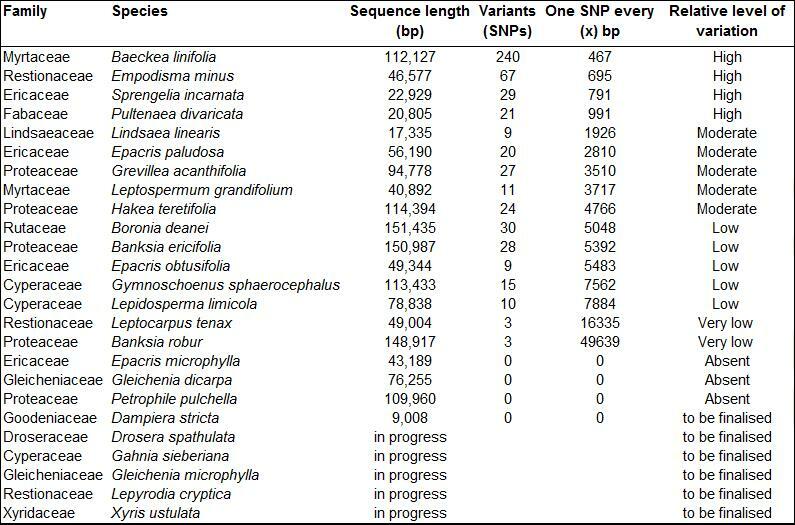 This makes the majority of these systems relatively long (median length is 216 m) and narrow. They occur in relatively elongate catchments with median elongation ratios of 0.61 and median catchment lengths of 488 m. Almost all these valleys terminate at their downstream ends at a valley constriction or bedrock step, making the valleys ‘funnel-shaped’. Catchment areas draining into the swamps are, on average, 0.25 km2. This means these systems tend to occur in the very headwaters of most catchments in first or second order drainage lines. 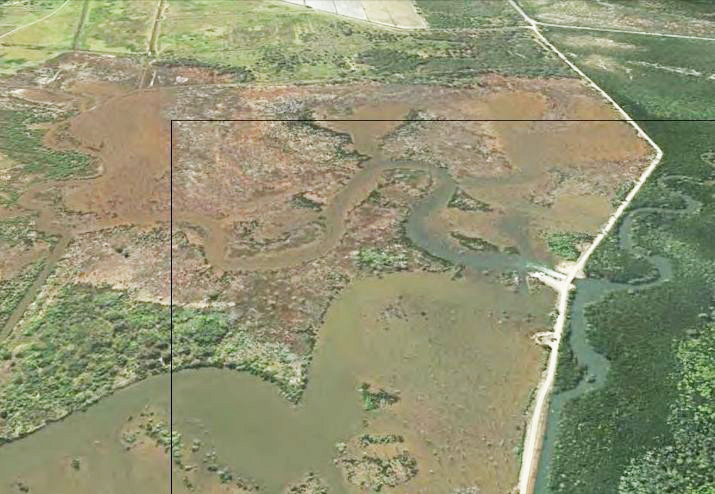 Each swamp is, on average, 31,537 m2 in area (3.1 ha). These swamps form on deceptively steep slopes. 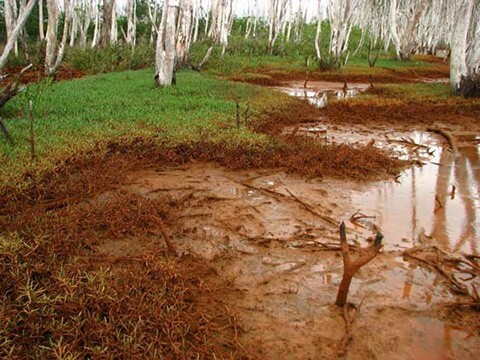 Median minimum swamp slope is 6.2%. The funnel-shaped valleys produce effective constrictions behind which alluvial materials and peat can accumulate, resulting in valley fills forming on relatively steep slopes. Stakeholders and Funding bodies. 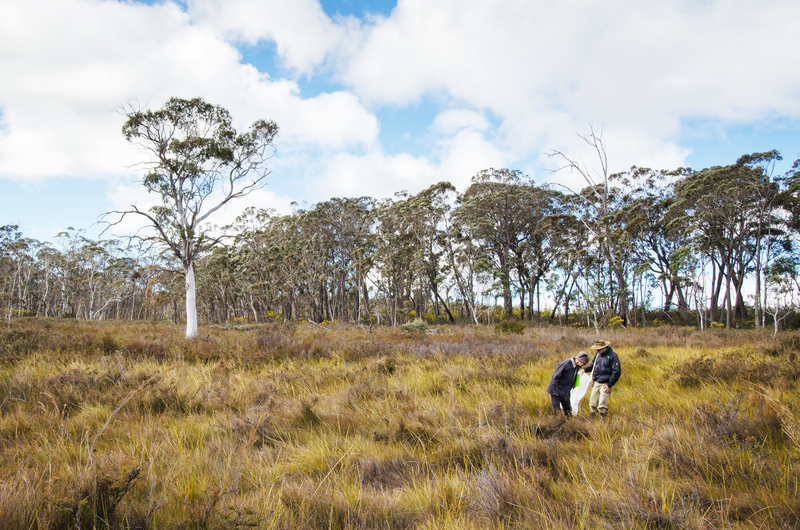 This research was funded through the Temperate Highland Peat Swamps on Sandstone Research Program (THPSS Research Program). This Program was funded through an enforceable undertaking as per section 486A of the Environment Protection and Biodiversity Conservation Act 1999 between the Minister for the Environment, Springvale Coal Pty Ltd and Centennial Angus Place Pty Ltd. Further information on the enforceable undertaking and the terms of the THPSS Research Program can be found at www.environment.gov.au/news/2011/10/21/centennial-coal-fund-145-million-research-program. This project was also partly funded by an ARC Linkage Grant (LP130100120) awarded to A/Prof. Kirstie Fryirs and A/Prof. Grant Hose at Macquarie University. We thank Will Farebrother for working on this project. We thank the NSW Land and Property Information for the orthorectified aerial photographs that are used under a research-only license agreement. Key words. Feral-proof fence, native animal reintroductions, feral animal control. Introduction. Arid Recovery is a conservation research initiative based in the South Australian arid zone and dedicated to the restoration of Australia’s arid lands. Established in 1997, the program is centred around a 123km² fenced reserve but it is continually expanding into the wider region. Feral cats, rabbits and foxes have been eradicated from a total of 60km² and this has provided an area of complete protection into which four species of locally extinct mammals have so far been reintroduced. Arid Recovery is also committed to increasing education and awareness of arid zone issues and has an education program that includes indigenous youth and local schools. Degradation. At least 27 species of native mammal once inhabited the Roxby Downs region but over 60% have become locally or completely extinct since European settlement. Some bird species such as the Bush Thick-knee and Plains Wanderer have also become locally extinct or endangered. The main reasons for the decline of the local native fauna and flora are overgrazing by rabbits and domestic stock, and predation from introduced animals like the feral cat and fox. Medium-sized desert mammals have been most affected with many now globally extinct or have disappeared from mainland Australia and survive only on off-shore islands. Since the inception of grazing in arid rangelands, there have been extensive vegetation changes. 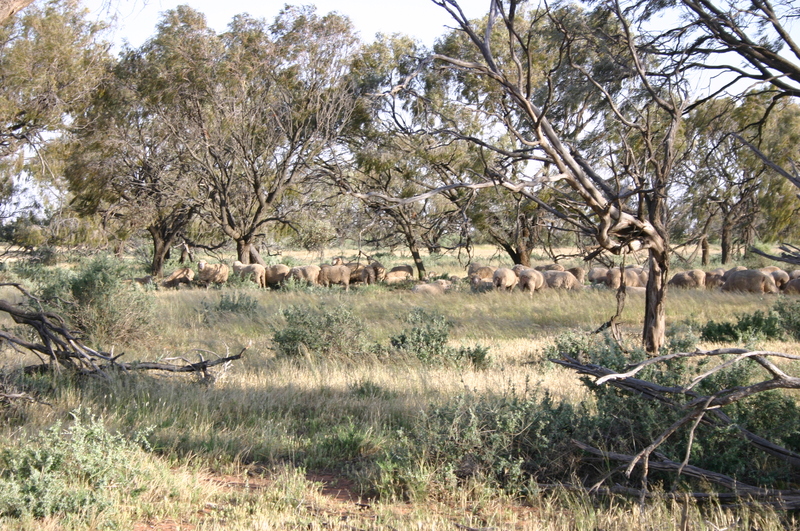 Many parts of arid Australia were severely over-grazed by sheep and cattle during the advent of pastoralism in the 19th Century. Overgrazing by domestic stock and rabbits has a significant effect on arid zone vegetation; long-lived arid zone trees and shrubs are prevented from regenerating, and long-lived plant species are being replaced by short-lived annual and weed species. Whilst current pastoral practices are much more conservative there are still many areas degraded by pastoralism. Figure 1. 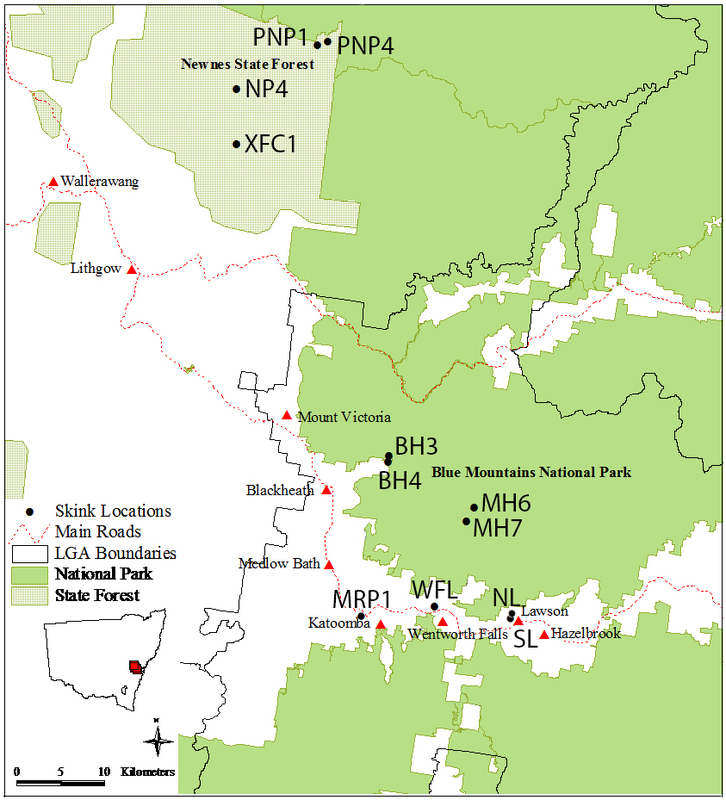 Map of the reserve showing cumulative addition of fenced areas. Monitoring. 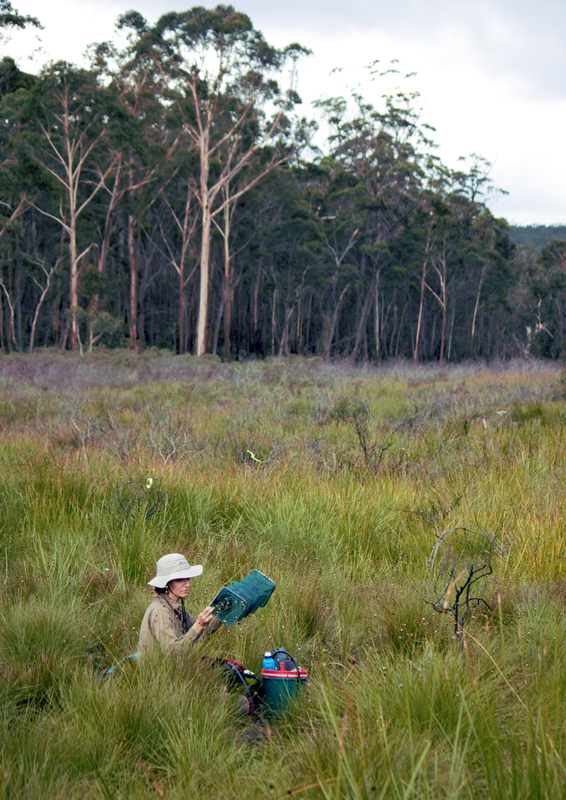 More than 500 monitoring sites have been established to document the restoration process including annual pitfall trapping, burrow monitoring, seedling counts, photopoints and spoor counts. Recruitment of seedlings is monitored inside and outside the Arid Recovery Reserve to determine the impact of rabbits and domestic stock on the survival of seedlings. Rabbits, cats and foxes have been eradicated from 60 square km pf the Arid Recovery Reserve. The fence design has now been adopted by many projects both within Australia and internationally (e.g. Hawaii, Queensland). Results from 10 years of pitfall trapping show that native rodents have now increased to 10 times inside the Reserve compared to outside areas where cats and foxes are still present. Results of the monitoring of plant recruitment to date suggest that survival of Mulga (Acacia aneura) seedlings is much higher where rabbits and grazing pressure by other herbivores has been removed. Research program. Where published information or advice was not available, Arid Recovery implemented its own research programs to test various on-ground techniques and then adopted the most effective methods. Arid Recovery’s four co-founders are all ecologists and have ensured that all management and monitoring has an adaptive management focus and that overall ecosystem restoration is more important than single species recovery. The University of Adelaide is a partner organisation and has provided research students, scientific advice and staff management. Research into effective rabbit and cat control methods has now been published for use by other land managers. Research has been conducted into the ecosystem services provided by re-introduced Bilbies including the increased soil carbon levels and water infiltration recorded within their foraging pits. 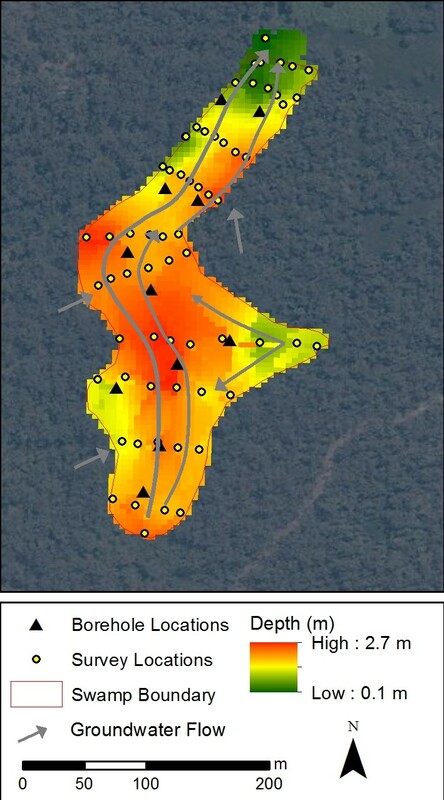 Long term monitoring sites have provided critical information on both fauna and flora recovery of in situ species and an insight into their threatening processes. More than 40 scientific papers, internal reports and theses and 25 conference presentations have been produced to date and Arid Recovery is committed to effective dissemination of information to landholders not just the scientific community. Publications in National Landcare Magazine and participation in local NRM fora ensure that the scientific information is transformed into easily digestible and practical land management applications. Further directions. Arid Recovery is now researching ways to move beyond the fenced reserve through improved predator management and increasing the predator-awareness of threatened species. 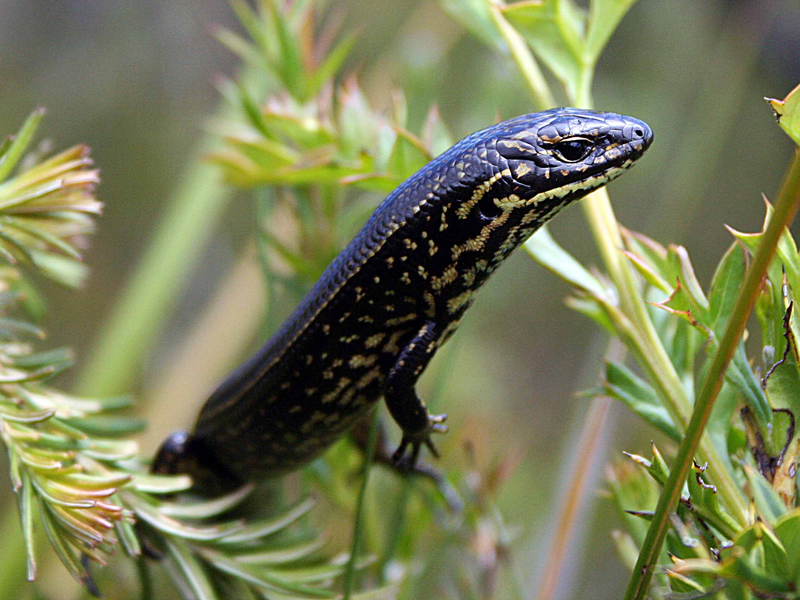 Another current and future direction is preventing overpopulation of reintroduced species within the reserve through the use of one way gates and predators. 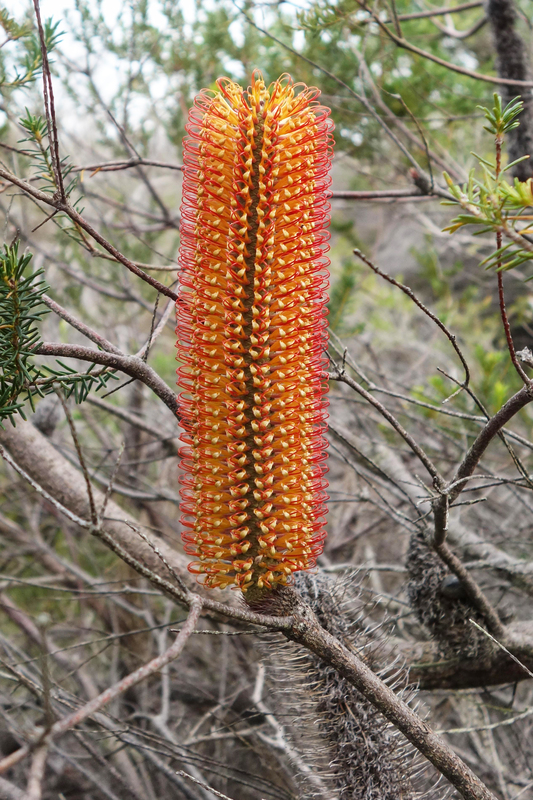 Arid Recovery has recently partnered with Bush Heritage to form the South Australian Rangelands Alliance (SARA) with both organisations aiming to restore the plants and animals in the arid zone. Lessons learned. The partnership between industry, government, community and research institutions has been integral to the success of Arid Recovery. Each partner has brought skills, resources and expertise to the program and ensured a balance is achieved in ecological restoration activities. The winning combination of solid on-ground works and adaptive management based on sound scientific research is the key to Arid Recovery’s success. By ensuring that effective monitoring is regularly conducted and reviewed, Arid Recovery staff are able to implement changes to reserve management effectively and quickly. Another important lesson learned is that restoration does not happen on its own, it requires long hours of hard work from both staff and volunteers. Arid Recovery is indebted to the hundreds of people who have given up their time to shoot cats, trap rabbits, count birds, measure plants and most importantly erect fencing. Stakeholders. Arid Recovery is a partnership between BHP Billiton, S.A. Department for Environment, University of Adelaide and the Friends of Arid Recovery. All four partners contribute funding and in kind contributions and have committed to long term support for the program. Introduction. Seagrasses are flowering plants that form extensive underwater meadows, transforming bare sandy areas into complex 3-dimensional habitats for a diverse faunal community. They provide a wide range of ecosystem services including nutrient cycling, carbon sequestration, and coastal stabilization. Once impacted, seagrass meadows can take decades to recover. 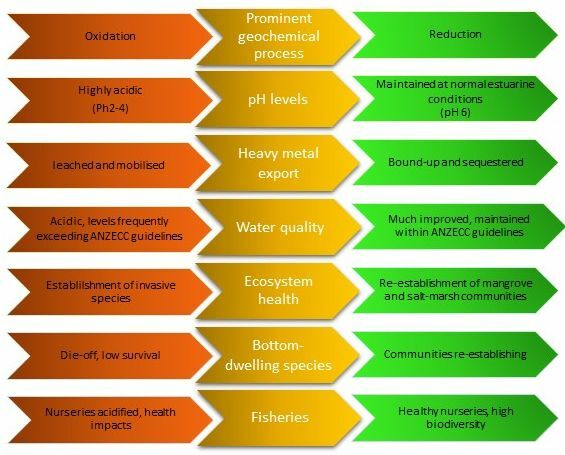 The need for seagrass restoration is mainly driven by loss of seagrass due to human activities including ocean discharges and coastal developments, although changing ocean conditions (warming temperatures and increasing acidity) and sea-level rise now provide additional challenges. Figure 1. Posidonia australis showing spreading and merging shoots from what were initially only single planting units (see inset). Cockburn Sound project. In 2003, the Seagrass Research and Rehabilitation Plan (SRRP) was established to meet stringent environmental management conditions for two separate industrial development projects in Cockburn Sound, Western Australia. Both projects, Cockburn Cement Ltd and the state Department of Commerce, impacted upon seagrass ecosystems. The SRRP was aimed at developing and implementing seagrass restoration procedures that are economically feasible and environmentally sustainable. 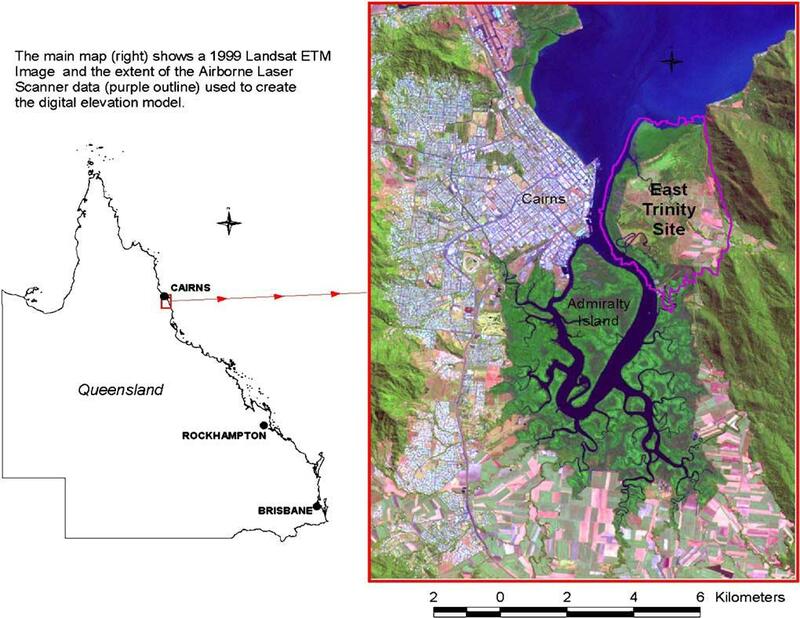 The collaborative project team was coordinated by BMT Oceanica and included researchers from Murdoch University, The University of Western Australia, Edith Cowan University, the Botanic Gardens and Parks Authority, environmental consultants and a marine engineering firm. Works and their results. 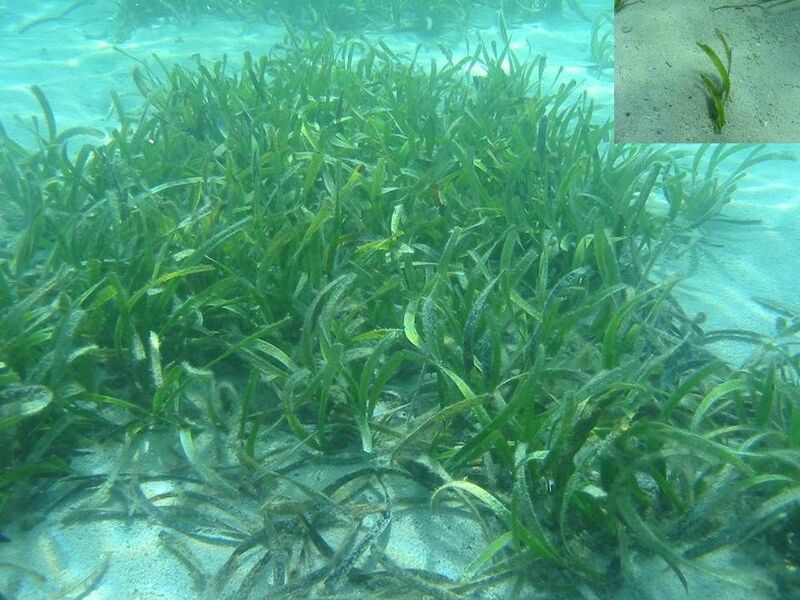 Implementing the SRRP involved a range of experimental transplantings of the seagrass Posidonia australis (a slow-growing meadow-forming species). The transplant trials resulted in good health and high survival rates of transplanted shoots. This showed that meadows can be restored and thus are likely to develop and return to the same ecological functions as natural meadows. In this case, donor material was harvested from a site that was to be destroyed as part of the permitted development. In other cases, donor material has been harvested from meadows that have demonstrated varying levels of recovery, with a number of years required for recovery depending on the intensity of harvesting. The project resulted in site-specific solutions as well as generic technical guidelines for manual transplantation to restoration sites from donor sites. While the results of this project are encouraging, the challenge of achieving biological diversity in seagrass meadows, particularly to the equivalence of a natural seagrass meadow, has not yet been demonstrated. The scale of this particular project is still small (3.2 Ha) relative to the amount of restoration required. Focus needs to be on research into how such projects can be scaled-up. Seed-based restoration may be more appropriate for some species (including Posidonia). Selection of a restoration site is a strong factor contributing to the success of transplanted material (i.e. the likelihood of success if higher where seagrass was present before).